Zhang Dafang of China has collected 600 different telephones, till April 20, 2007. 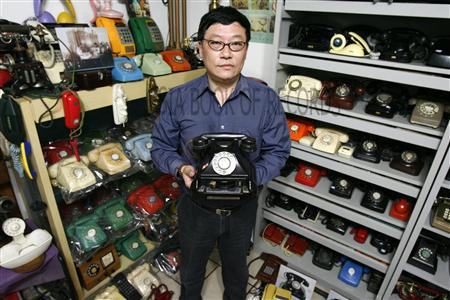 He even owns a phone in the shape of a whisky bottle and he found his oldest piece dating from 1900, in a Russian flea market. 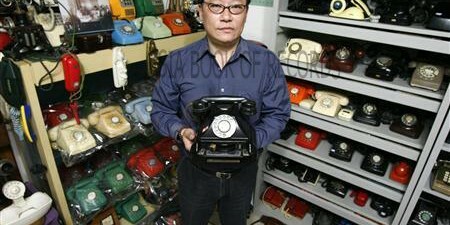 Comments for LARGEST COLLECTION OF TELEPHONES are now closed.